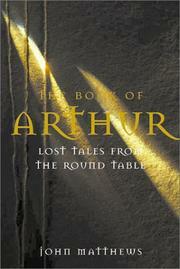 A kind of Arthurian apocrypha, as medieval folklorist and scholar Matthews (The Bardic Sourcebook, not reviewed) collects more than two dozen “forgotten tales” of King Arthur and his knights. Camelot groupies everywhere will welcome this rich lode of Arthurian ore, which will go some way toward slaking their inexhaustible thirst for more episodes in the Round Table saga. All the usual characters are here—beginning, of course, with Arthur, Merlin, Guinevere, and Lancelot—and the author has also dug up tales of more tangentially related figures such as Trystan and Ysolt. In his introduction, Matthews points out that the roots of the legends grow out of the fertile soil of Celtic mythology, and the first section of this volume (“Celtic Tales”) concentrates on stories in this vein; these are the earliest sagas, many (“The Story of the Crop-Eared Dog”) written in Irish, and they’re filled with wild imagery of fantastic beasts and stirring accounts of colossal battles reminiscent of the Norse epics. The stories of the middle section (“Tales of Gawain”) focus more on King Arthur’s nephew Sir Gawain, considered in the Middle Ages the model of knightly virtue, and these stand as representative of the literary traditions of courtly love and chivalry that came to England through the arrival of the Normans in the 11th century. The later tales (“The Medieval Legacy”) are richer in the Christian symbols and allegories that we have come to associate with the legends since their revival in the 19th century. Well translated into fluid (not pedestrian) modern English: nice variations on a familiar theme.